Now in its fifth year, the 2018 Homelessness Conference program profiled emerging local, national and global trends on housing and homelessness. This year’s theme, Sharing Solutions to End Homelessness, explores innovative ways the public, community and private sectors can work together to address homelessness and the current vulnerabilities that people face. 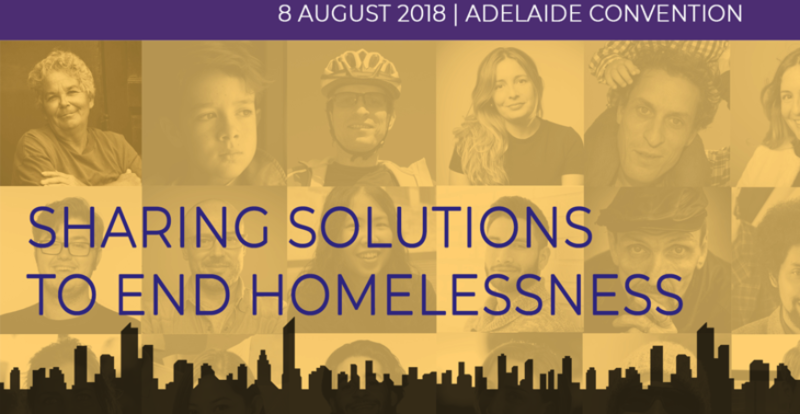 This conference also provided an opportunity to hear updates on the Adelaide Zero Project, which has moved into the Implementation Phase and aims to achieve Functional Zero street homelessness in the inner city by the end of 2020. Against a backdrop of rising homelessness in Australia, Adelaide now has a unique opportunity to lead the country in finding solutions to improve the lives of people experiencing homelessness. Conference presenters and panel members include nationally and internationally acclaimed service providers and practitioners, policy and decision makers, innovators and academics. Interactive sessions will provide opportunities for discussion, learning and exchange of ideas. View the conference resources below. Independent or Institutionalised: the tension in Youth Housing. Ryan Bullivant, Service Manager, St Johns Youth Services. They say that in complex systems, finding ‘solutions’ is not possible, instead you have to understand and work with the underlying tensions. The key role for Youth Housing projects is to empower young people to succeed in independence. At the same time, Young people are often frustrated by the environments that are created in youth homelessness provision – particularly the obligations that they enter into: house rules, mutual obligation, chores, compulsory activities, etc. Placing limits on personal autonomy like this is something that has been associated with some of the most problematic institutions. Improving the housing outcomes of low income older people: The Ageing on the Edge Project. Debbie Faulkner, Research Fellow, CHURP. Introducing the Ageing on the Edge Older Persons Homelessness Prevention Project, a five year project working progressively across the States to address the increasing housing problems facing many low income older people in Australia who do not have appropriate and affordable housing in their later years. Homelessness: Not Just a Housing Issue.Priority Health Care for Aboriginal and Guardianship Young People. Annie Catanzariti, Nurse Practitioner, Metropolitan Youth Health Services. The aim of our Homeless Outreach Clinics (HOT) was to optimize access to health services by providing culturally appropriate and sensitive, flexible outreach in order to access and engage with this highly vulnerable group. Our results show an increased access to health services and delivery of services to clients not formally accessible. Find out how housing co-operatives (co-ops) can reduce the causes of homelessness. Scott Sharrad, Chair, PERCH Housing Co-op, Member organisation of Common Equity. Housing co-ops reduce social isolation which can be directly linked to improving health and wellbeing outcomes – mental health is a significant contributor to homelessness. So, by tackling one of the main causes upfront it will reduce the numbers falling into homelessness. Lakehouse – A pop up housing model for older homeless women. Jan Berriman, Director, National Housing, YWCA Australia. The ‘pop up’ concept is being implemented to utilise vacant properties, engaging in partnership with corporates and NFPs to deliver innovative solutions to homelessness. Healing together – parenting after Domestic and Family Violence. Megan Hughes, Executive Manager, Strategic Projects, Women’s Safety Services of South Australia (WSSSA).  Domestic and Family Violence (DFV) does not end when the women and children leave the family home. In fact, life becomes more unpredictable and often more frightening for women and children. Understanding the dynamic of DFV, and using a trauma informed approach when working with women and children after they have left a violent relationship makes all the difference for their recovery from this experience. Pets and Poverty. Jennifer Howard, Founder/CEO, Safe Pets Safe Families. Safe Pets Safe Families looks at a One Welfare approach improving animal and human well being, the lack of pet-friendly rentals and pet-friendly shelters and the client-centred case management safe pets does with successful results. Since 2012, Marah has been on faculty in the School of Social Work at the University of Wisconsin in Madison, where she is an Associate Professor. Marah is also a faculty affiliate at the Institute for Research on Poverty. She studies how differences in housing conditions and the structure of income-conditioned benefits affect wellbeing. Her research focus on housing is grounded in the recognition that this essential resource is imperative in securing the health and functioning of families. Current projects include serving as an academic partner on the Healthy Housing Initiative with the goal to improve the health and wellbeing of low-income residents and influence policies to create housing affordability, stability and quality. Sally Hines is the Chief Operating Officer of The Big Issue. Homes 4 Homes is a new social enterprise by The Big Issue that will help raise an ongoing supply of new funding through property transactions to generate more social and affordable housing. Homes 4 Homes is a community-wide solution bringing together banks, legal firms, property stakeholders, developers, community housing providers and the government to increase the supply of housing in Australia.